Gameplay: Players have an initial supply of armies and take it in turns to place an army on the board, claiming one of the forty-two territories. Once all the board is taken, the players continue placing armies on their own territories to strengthen their position until their stock is gone. After this set up is complete, the first player receives reinforcements and can attack neighbouring territories from any of their own territories containing two or more armies. The attacking player gets one less dice than the number of attacking armies (maximum of three); the defending player gets one dice for every defending army (maximum of two). The highest dice roll of each player is compared. If the attacker has a higher number, then the defender loses an army; otherwise the attacker loses an army. If applicable, the second highest dice roll of each player is compared in the same way. A player can attack as many times as they like from as many territories as they like in their turn. At the end of their go, they can move one group of armies one space. They also receive a card if they managed to capture a territory. Reinforcements are gained at a rate of one for every three territories held (minimum of three). Controlling all territories on a continent at the start of their go, gives players bonus reinforcements. Trading in sets of three cards also means extra armies. 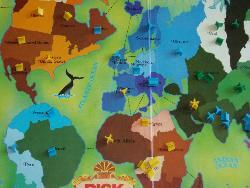 Basic game: Capture every territory on the board. Variant: Each player chooses a territory as their headquarters. The winner is the first person to capture all the headquarters. Some versions also have Secret Missions. Each player is dealt four hidden objectives to complete in order to win, such as capture a certain number of territories or particular continents. Game length: Anywhere between an hour and forever. Generally, the more players there are, the longer it takes. Age: Officially 10+ but an eight-year-old can pick it up. A six-year-old will need plenty of advice on what to do every turn. A three-year-old will gleefully roll dice and scream, 'Don't attack my pink ones!' Bear in mind, however, that the game involves a large number of little plastic pieces which can be easily swallowed or sent flying - you'll want to keep hungry, boisterous pets and toddlers well out of the way. 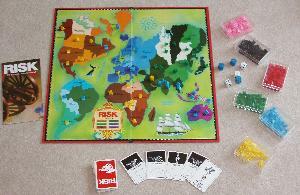 Don't get me wrong, Risk is a good game. With a few friends, a couple of drinks and plenty of time to kill it can turn into a complex game of planning and betrayal. It's definitely not perfect, though. 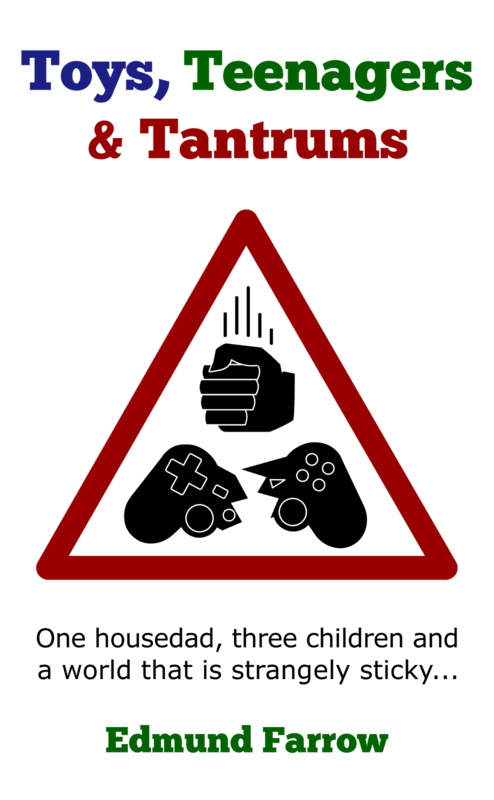 It's slow, long, isn't as much fun with two players and always ends with one player wiping the floor with the others. These features aren't too handy when introducing a child to strategy games. At least the rules are relatively simple and there's a strong element of luck. Balancing the possibility of success and failure is part of the game but even the best plans can be thwarted by disastrous dice rolls. This gives inexperienced players a chance. The main problem is that, as with Monopoly, it's generally pretty clear who's going to win half an hour before they actually manage it. If there are more than two players, some of them can be knocked out well before the end. Coupled with a lengthy set up phase, the game can really drag. Conclusion: This is a good entry to strategy board games... but maybe not for children. Plenty of opportunity for alliances and betrayal. Games can drag on a little too long. Works best with lots of players. You need to allow at least a couple of hours. The score always ends 42-0 which is never much fun for those who get zero. This can lead to tears. One swipe from a passing two-year-old and it's Game Over.